Take advantage of the upcoming long weekend with a short break to one of the world’s most breathtaking destinations, the Maldives. A unique archipelago deep in the heart of the Indian Ocean, the Maldives is in fact only a short four hour flight from the GCC making it the ideal destination for a long-weekend break. 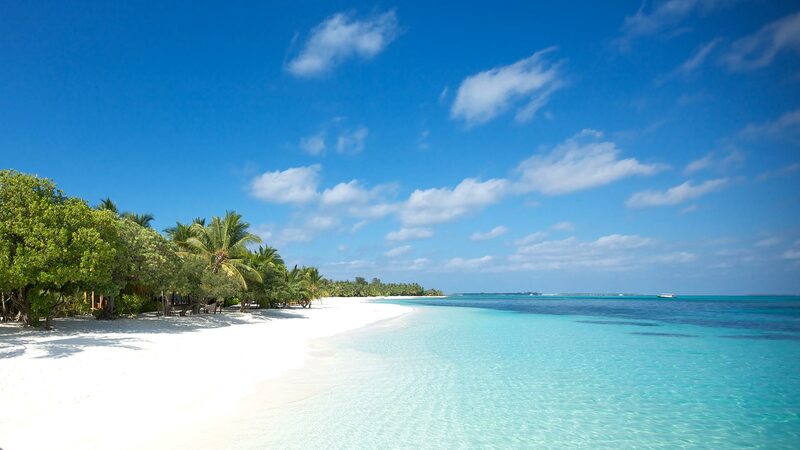 Boasting some of the best beaches in the world, exceptional opportunity for marine life discovery and the chance to sit back, relax and put your feet up in luxurious accommodation, it doesn’t get much better than the Maldives. We’ve put together a brief round up of the best resorts to visit this Eid Al-Adha. Hidden just a 45-minute private yacht transfer away from the Maldivian capital of Male, sits the private island of Naladhu, part of the Anantara brand. Here, privacy reigns supreme with just two dozen beach and ocean houses on the entire island meaning you may not see another guest your entire stay. Your dedicated house master is on hand to attend to your every whim and the unique traditional beach-house style of the accommodation really sets Naladhu apart as the most luxurious of all the Maldives’ islands. Make like Robinson Crusoe – even if only for the long weekend – and leave your shoes at home for award-winning Gili Lankanfushi embodies the very essence of barefoot luxury. Literally. Home to the world’s largest overwater villa (which needs to be seen to be believed) and some of the best snorkeling opportunities in the entire Maldives, Gili Lankanfushi is everything you dreamed the Maldives could be and then some. A favourite with the jet-set Niyama’s two private islands evoke a sense of style among those in the know. Not only is the award-winning spa one of the best in the entire Maldives, the resort is home to the world’s first underwater nightclub, Subsix. This Eid al Adha, Niyama is offering guests staying 2 nights or more an exclusive package which includes an incredible 40% off the room rate, a free upgrade to half board and a complimentary 60-minute spa treatment for two – to take advantage of this amazing offer simply book a stay online before 30th September 2017. Cited as the ‘Legend of the Maldives’ Baros is a bucket-list escape for anyone looking to visit the Indian Ocean. One of the first islands in the Maldives archipelago to be transformed into a luxury resort for discerning travellers, Baros has become known as one of the most luxurious and sought after locations. From relaxing in your beautifully appointed beach or over-water villa (some come with private infinity pool) to dining in style at the renowned restaurant, The Lighthouse with it’s unrivalled sunset views and never-ending cocktail list. A relatively new-kid-on-the-black Hurawalhi is making waves for it’s modern, minimalist design and dedication to sustainability; some 30% of the resort’s energy needs are currently being met by renewable energy and the enormous Aquarium restaurant (the world’s largest underwater restaurant) is shaded by a canopy of solar panels. Soft-sand beaches,brilliant blue waters and magnificent marine life makes this Maldivian resort a must-visit for anyone looking to travel to the Maldives. With a perfect blend of traditional Maldivian culture and stunning modernity, Sun Siyam Iru Fushi is an obvious choice when choosing a resort in the Maldives. Walk barefoot along the white sands or relax in the privacy of your water or beach villa, taking in the breathtaking vista before you. With a wealth of restaurants on the island, this is an ideal destination for travelling foodies and for those who want to discover the most that this magical part of the world offers, the opportunity for water based activity is endless; snorkelling and watersports give way to sunset excursions, making this resort a picture-perfect place to spend your days. One of the biggest resorts in the Maldives archipelago, LUX* is all about family fun. With a large number of villas, from bijou beach huts to lavish over-water properties, the emphasis here is on modern design and an abundance of activities. With the largest selection of water sports in the entire Maldives, you certainly won’t be bored or if you do want to just lay back and relax, the pristine white sand beaches make for the perfect location on which to while away the hours.